Tennis Australia and Nine Network sign a $300 million, five-year deal from 2020 to 2024. Tennis Australia is set to join forces with the Nine Network after signing an historic new agreement this afternoon. The new $300 million, five-year deal from 2020 to 2024 is the biggest in the history of the organisation. Tennis Australia President and Chair, Jayne Hrdlicka, joined Nine Network CEO Hugh Marks to make the announcement at Melbourne Park today. “We look forward to working with the Nine Network team to grow our audience, meet changing viewer habits and bring the full AO experience to life,” Ms Hrdlicka said. “Four years ago we brought the host broadcast for the Australian Open and all our other events in-house and this success has allowed us to unlock even more value in our domestic media rights. “Our objective going into this process was a growth plan for exposure across the key planks of both tennis and non-tennis content, and the Nine offer best met these requirements. Nine’s commitment to additional tennis programming year-round was also aligned to our strategy. 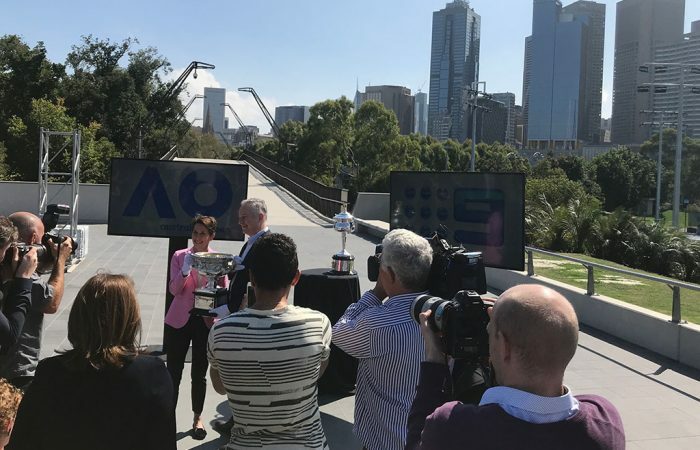 The five-year deal gives the Nine Network the domestic broadcast rights for the Australian Open, Australian Open Series, Davis Cup, Fed Cup and other special events. A thorough process was undertaken leading to the signing of the agreement with the Nine Network. 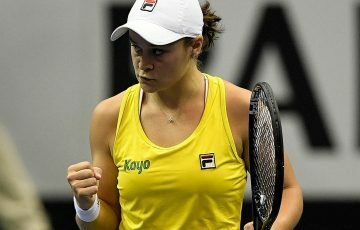 After the expiration of the four-month exclusive negotiation period with the incumbent Seven Network, Tennis Australia started negotiations with other broadcasters. These discussions centred around Tennis Australia’s domestic broadcast objectives to grow and refresh the audience, meet changing viewer habits, bring the entire onsite AO experience to life on all platforms and capitalise on the digital wave. The rights comprised two packages, firstly the best matches on Free-to-Air television, and secondly, all matches on any platform. The Nine Network has purchased both packages which include rights for broadcast, streaming, mobile, digital and social platforms.